Everyone gets holiday cards, even in the digital age! 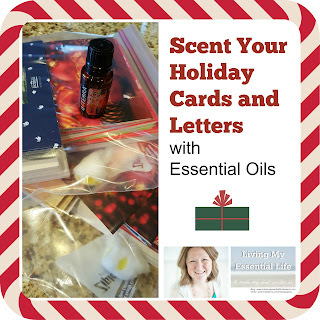 Why not make those cards a little extra special using essential oils? Add a couple drops of your favorite aromatic essential oil to a cotton ball and place it in a resealable plastic bag with note cards and envelope for 24 hours. This creates a lightly scented stationary that everyone will enjoy! Tip: Be careful to not let the cotton ball touch the cards or paper to avoid any discoloration. Or create your own blend!